(Okayama, 11 September) Researchers at Okayama University describe in Scientific Reports that cancer-associated fibroblasts — cells that play a key role in cancer progression — originate from cancer stem cells. Preventing cancer stem cells from transforming into cancer-associated fibroblast may be a promising approach towards cancer treatment. Seno and colleagues first created CSC-like cells following a protocol they had established earlier: by exposing the mouse induced pluripotent stem cells (miPSCs) , a type of reprogrammed cells with embryonic–like pluripotent state which can differentiate into any type of cells, to the conditioned medium prepared from the culture of human breast cancer cell line. The resulting cells displayed typical CSC-like phenotype. These cells exhibited three essential features of CSCs. The first one is self-renewal, which is attributed to a potential to form spheres in serum-free suspension cultures. The second one is ability to form malignant tumors in vivo. And the last one is the potential of differentiation. Here in this case the phenotype of CAF is found as one of the phenotypes CSCs differentiate into. The researchers then separated fibroblast-like cells differentiating from CSC-like spheres in the presence of conditioned medium. These cells were compared with fibroblast-like cells generated directly from miPS cells. Comparative analysis revealed that CSC generated fibroblast-like cells displayed CAF-like phenotype. Therefore, Seno and co-workers concluded that the conditioned medium plays a key role in the differentiation of CSC-like spheres into CAFs. Finally, the expression of CAF markers (proteins that are associated with the formation of CAFs) were analysed and scientists found that the CAFs have high invasive potential when compared with normal fibroblasts. Therefore, these findings by Seno and colleagues indicate that CSCs are a source of CAF-like cells in tumor microenvironment. Their model system is a valuable tool for analysing the role of CAFs derived from CSC-like cells in the tumor microenvironment and, in the words of the researchers, “inhibiting the conversion of CSCs to CAFs might have potential therapeutic implications in the future”. Tumor microenvironment contains various types of cells, including so-called cancer-associated fibroblasts (CAFs). CAFs play an important role in various aspects of cancer progression, such as tumor growth, inflammation, drug resistance and metastasis. So far, CAFs have not been characterized very well, and their origin has remained unclear. 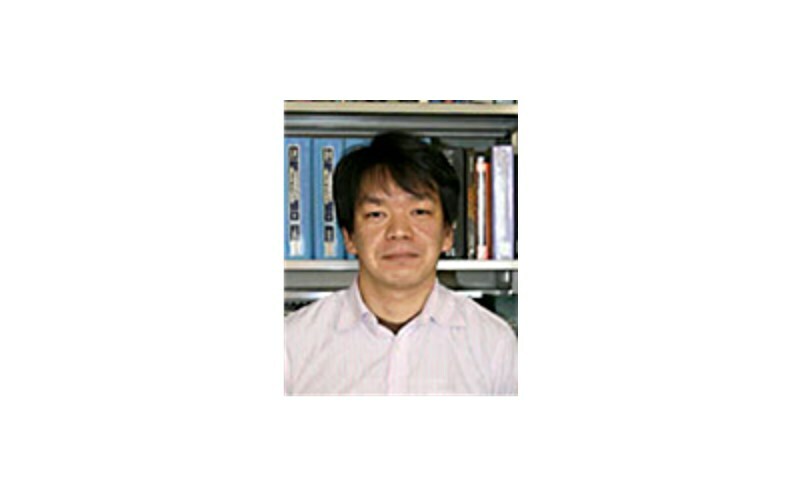 Masaharu Seno and colleagues have now tested the hypothesis that CAFs originate from cancer stem cells (CSCs), tumor-initiating cells. The researchers’ findings show that CSCs can indeed differentiate in CAF-like cells. Stem cells are cells that are able to differentiate into cells of a specialized phenotype. An important property of a stem cell is its potency, indicating into what types of cells the stem cell can differentiate. So-called pluripotent stem cells (PSCs) can develop into organisms, since they can differentiate into cells of any of the three different germ layers characteristic of organisms. 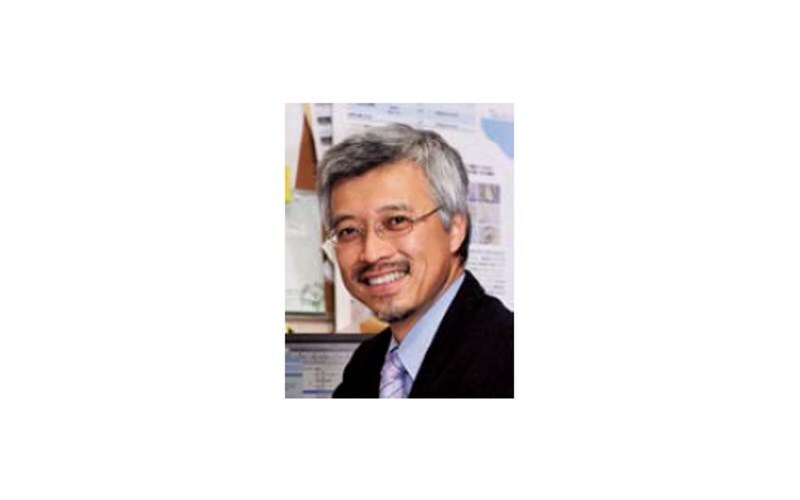 An induced pluripotent stem cell (iPSC) is a PSC generated by reprogramming adult non-PSCs; a procedure developed by Dr. Shinya Yamanaka and his colleagues in 2006. 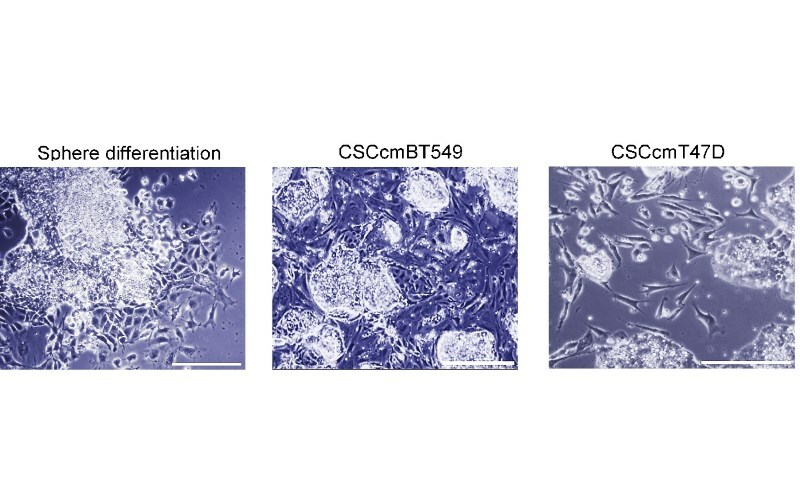 Masaharu Seno and colleagues used this iPSCs and treated with conditioned medium from breast-cancer cell lines to generate CSC-like cells, which they then showed to be able to differentiate into CAF-like cells. Neha Nair, Anna Sanchez Calle, Maram Hussein Zahra, Marta Prieto-Vila, Aung Ko Ko Oo, Laura Hurley, Arun Vaidyanath, Akimasa Seno, Junko Masuda, Yoshiaki Iwasaki, Hiromi Tanaka, Tomonari Kasai & Masaharu Seno. A cancer stem cell model as the point of origin of cancer-associated fibroblasts in tumor microenvironment. Scientific Reports, July 28, 2017. Senior Research Assistant Professor Tomonari Kasai, Ph.D.
Representative bright field images showing the morphology of cells differentiating from cancer stem cell spheres.